I’ve killed a lot of zombies in my life – at least my gaming life. So many in fact that I begin to question my whole philosophy and whether the takedown of the poor undead is justified. Maybe when they start coming towards me, arms outstretched, gently moaning, they’re just looking for a nice comforting hug? Maybe they’re just simply misunderstood? Anyway… whilst I’ve been contemplating this new way of thinking, Future War: Reborn has me killing the poor zombies again. Does it make me want to exterminate them all? Or lie down and wait for that all embracing hug? The team behind Future War: Reborn, E-Home Entertainment, has provided me with a couple of great games last year; namely Your Toy and the excellent Candleman. 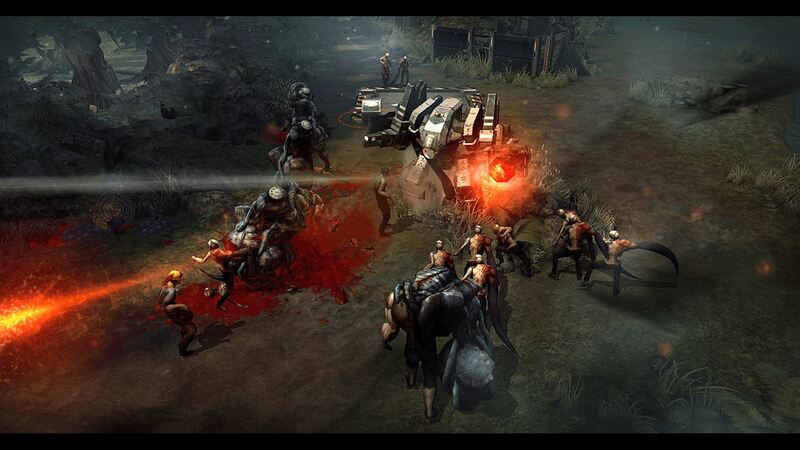 Future War: Reborn started life on mobile with microtransactions and quick gaming opportunities for the commute. With the upgrade to console, the micro transactions has been abolished, the controls changed and the graphics updated. Future War: Reborn is a third-person science fiction twin stick shooter. In the scary future, a horrible plague has spread across the world, turning regular people like you and me into bloodthirsty zombies and mutants. Much of the planet lies in ruin – but don’t worry because the heroes are on the way. The Interstellar Alliance has recently developed an experimental super soldier, a person whose genetic modifications are ideally suited to fighting the undead. Your future warrior has a mad amount of equipment with which to use against the zombie horde. Players can buy, equip and upgrade six types of guns, including assault rifles, shotguns and lasers. As a Genome Fighter, you can also call upon advanced military technology, such as mechs and self-sustaining auto-cannon turrets. There is also a jetpack to propel yourself away with when things get a bit too hairy. The controls found within Future War: Reborn are fairly simple, with one stick for movement and the other for firing. There are special attacks attached to certain buttons, but that’s about your lot. The level design is still optimised for the mobile scene, by that I mean short action levels that will take you four minutes to complete. The mission objectives are your usual mixture of ideas – shoot as many zombies as you can, go and collect this object, defend this area and head over here for a while. It’s simple stuff and you won’t need a strategic brain in order to conquer the deep gameplay. The zombies and mutants range from your everyday zombie and easy to kill horde, to harder mutants who come with special attacks up their sleeves. 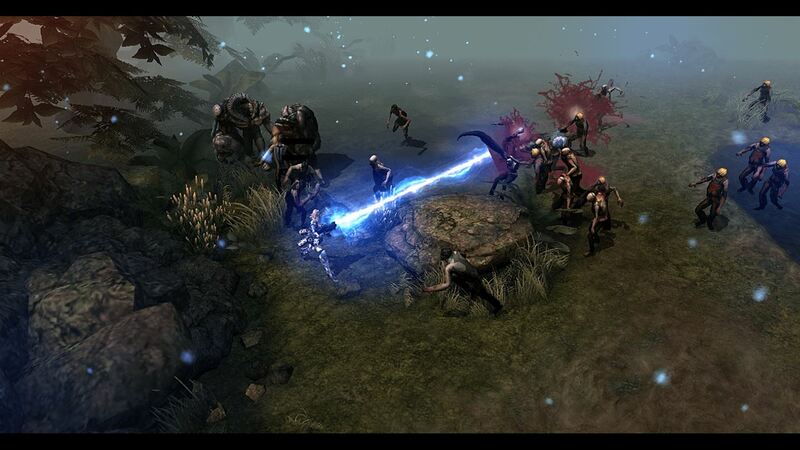 It all works fine with a kind of RPG element to the gameplay, where the more experience and money gained grants access to better weapons and abilities. The main problem I have with Reborn though is that it can’t quite shake its mobile roots off and that for me doesn’t translate well to the console scene. 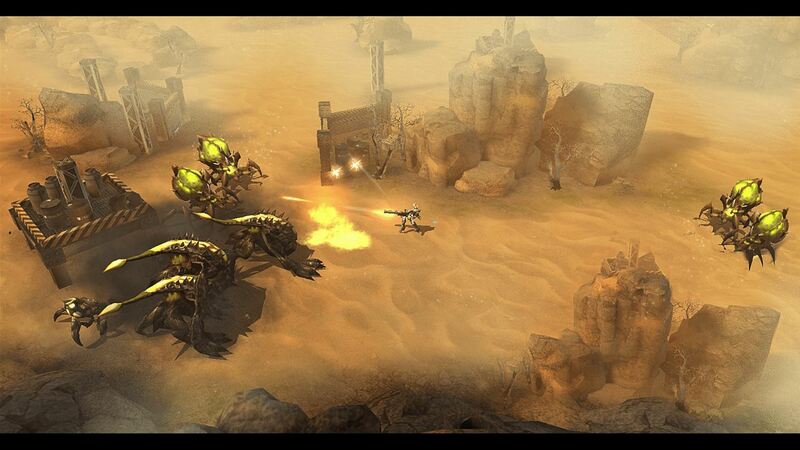 Missions are basic; as is the gameplay, the weapons and the monsters. Yes, it’s great to slay hordes of creatures with a massive gun, but I’ve seen many better games do it more successfully. Don’t get me wrong, it all works fine, but with the difference in price from its mobile form to that on console, there is too much of a shift, with not enough change. Story wise, and Future War: Reborn is at it weakest. There’s a sort of old fashioned text chat between a couple of characters that’s a bit generic and doesn’t amount to much in the long run. What is important though is that the game is a quick fix shooter that puts you in charge of slaying hundreds of enemies, and if I’m honest it does this very well indeed. Reborn has a very last generation look about it, even though things are crisp and clear. The style and tone is from another era and the locations, characters and monsters feel a bit dated. The menus are very sharp, but that isn’t really anything to write home about. The audio feels the same, with a pumping soundtrack that works well within the game, bringing grunts and moans from the monsters and some good effects from the weapons. Future War: Reborn is a hard game to review because the mobile and tablet game-space is where the game was designed and is probably where I see it working best. It’s fine for a bit of quick shooting, especially if you’re after mini missions and quick level satisfaction. It can also be enjoyable at times, with a good range of different weapons and upgrades. But ultimately it didn’t keep me interested long enough – mostly because of the simple story, mechanics and level design. For others though this might be the perfect game to indulge in a bit of zombie killing… but remember, those poor souls might just be misunderstood.